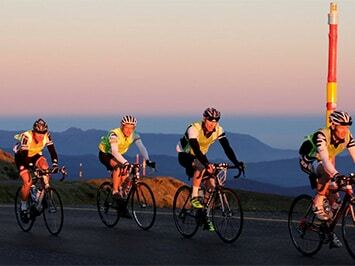 The picturesque mountain village of Harrietville is located 42 kilometres on the Great Alpine Road from Dinner Plain right at the foot of Mount Hotham and Mount Feathertop. Tucked in at the foot of the surrounding slopes of the Ovens Valley, the lush green village provides a safe haven protected from the extreme weather elements on the banks of the Ovens River. Boarding the Alpine National Park where you can relax and enjoy the fresh mountain air or explore the natural surrounds. Enjoy the cosy open fires within the friendly local establishments, sit out on the decks kicking back to live music, swim the local rivers and the water holes or participate in the variety of open markets and festivals organised during the year. 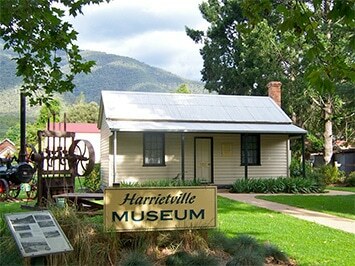 Sense the history of Harrietville and explore the old Museum to explore this history of gold. The town thrived after gold discoveries were made in 1852 and the legacy of gold seekers is evident today in the landscape shaped by mining. Tronoh Dredge is one such place, one of three local waterholes created by gold dredging. The dredge worked 24 hours a day, 6 days a week between 1946 and 1954. It passed through 156ha of land on the river flats and up to a depth of 40 metres. 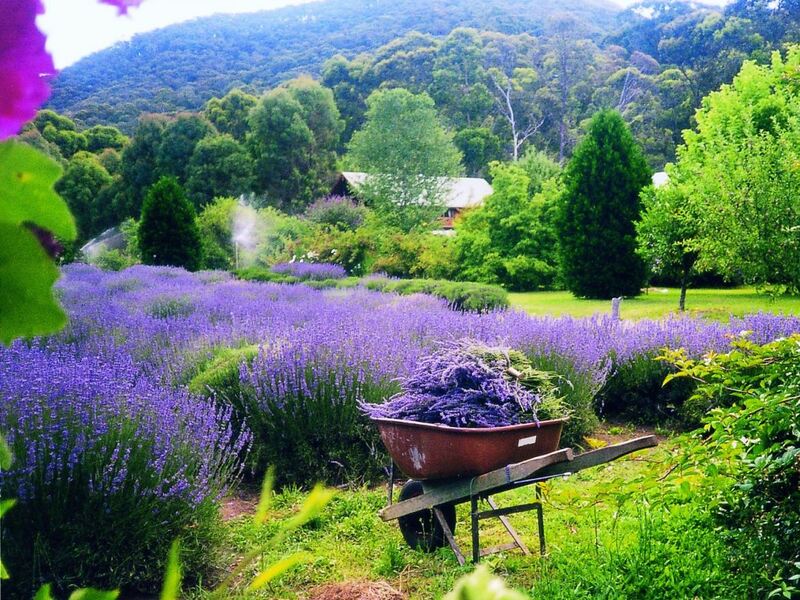 Replenish with the fare of gourmet local producers at Grannies Pantry, Lavender Farm and Feathertop Berries. Pick your own berries from local farms and snare your dinner in one of the rambling rivers, or opt for a safe catch in the trout farm. Need to cool down head to Morris Ice Creamery for homemade ice-cream that is so delicious. Stroll around Harrietville on the easy village loops and take in all that nature has to offer. Walk along the ovens river feeling the gentleness of nature while listening to the Ovens River or head to Tronoh dredge hole through bushland leading into the Alpine National Park. Harrietville is the gateway to the Alpine National Parks with many walks starting from the village. -Try your luck with a spot of fresh water fishing at the many fishing holes or head to the Mountain Fresh Trout and Salmon Farm for guaranteed tucker. -- For the more adventurous hike the superb trail from Mt Hotham to the summit of Mt Feathertop following the sharp, craggy spine of the Razorback above the tree line.